Houses & Homes VA: Can your IQ change as you get older? Can your IQ change as you get older? This is something I have thought about many times before. Have you ever known someone that seemed brighter in high school than they do today? Is it possible for us to become dumber as we get older? Here is the answer to that question from 5 different experts on the topic! As all of the following information is directly quoted from the experts I can’t take any credit for writing it myself but I thought this was interesting enough to share. Yes, your IQ can change over time. But [IQ] tests give you the same answer to a very substantial extent, even over a period of year. The older you are, the more stable your test score will be. The most volatility in IQ scores is in childhood, mostly in adolescence. Offhand I can't think of a reason why it would be, it just seems to be the case. Also, the average IQ of people is changing over time. Basically, people are gaining in modern industrialized societies. IQs are increasing three points per decade. In fact, there was an 18-point increase between 1947 and 2002. So the average IQ of a 20-year-old in 1947 was lower than the average IQ of a 20-year-old in 2002. Now, validity of IQ as a measurement of all that we consider "intelligence" is another question. The answer to this question, like many others, depends on a number of factors. If you look at the research where they've made people smarter (i.e. improved their IQs), what they're really doing is to make people function better. I've been able to teach children to be better in mathematics without teaching them mathematics. You can teach a child to better utilize their ability to plan, and that improves their academic performance not only in math, but in reading comprehension. So, what I would say is we didn't make the children smarter, but we taught them how to use what they have more efficiently, and better. Understanding changes in IQ also requires carefully considering how intelligence is being measured. People confuse ability with knowledge. We all can study and improve our vocabulary. But I would argue that doesn't make us any smarter. The best way to measure intelligence is to measure those abilities that underlie the acquisition of knowledge, separately from the knowledge we have. There's no such thing as "an" IQ. You have an IQ at a given point in time. That IQ has built-in error. It's not like stepping on a scale to determine how much you weigh. The reasonable error around any reliable IQ is going to be plus or minus 5 or 6 points, to give you a 95 percent confidence interval. So, for example, if a person scores 126, then you can say with 95 percent confidence that the person's true IQ is somewhere between 120 and 132; within our science we don't get any more accurate than that. But as soon as you go to a different IQ test, then the range is even wider, because different IQ tests measure slightly different things. But while there is no single IQ – it's a range of IQs – you can still pretty much determine whether a person is going to score roughly at a low level, or an average level, or a high level. However, IQ is a relative concept. IQ is how well you do on an IQ test compared to other people your age, and that is true whether you are 4 or in your 40s. It depends. First I think it is important to distinguish between at least three different meanings of the word intelligence. 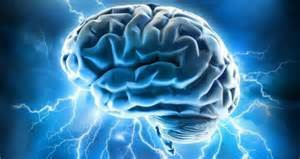 There is biological intelligence, or what is typically defined as neural efficiency. Then there's psychometric intelligence – your measured IQ score – which is an indirect and imperfect method of estimating biological intelligence. Can you increase biological intelligence? Research during the past decade using various neurotechnologies (aka, brain fitness programs) has suggested that it is possible to fine-tune your neural efficiency, or mental horsepower. Your cognitive functions can be made to work more efficiently and in a more synchronized manner. So can you change your IQ score? Individuals can change IQ scores. Your score may change not because of any real change in general intelligence, but that different tests may be used which measure different mixtures of abilities. Also, some abilities (e.g., fluid reasoning and crystallized intelligence, or verbal abilities) are more stable over time, while others are less stable (e.g., short-term memory and cognitive processing speed). You may have a certain level of general intelligence but it is important how you use it. When you approach a task, how well do you plan? How well do you adjust your response if it's not going well? These non-cognitive traits can be improved more easily than cognitive abilities. Absolutely. And there's plenty of evidence documenting this. An article in November in the journal Nature by Price and her colleagues is one example. It had 33 adolescents, who were 12- 16 years old when the study started. Price and her team gave them IQ tests, tracked them for four years, and then gave them IQ tests again. The fluctuations in IQ were enormous. I'm not talking about a couple points, but 20-plus IQ points, one way or another. These changes in IQ scores were not random — they tracked very nicely with structural and functional brain imaging. Suppose the adolescent's verbal IQ really went up during that time; it was verbal areas of the brain that changed. There are quite a large number of other studies showing IQ can change. Many of the changes in IQ are correlated to changes in schooling. One way that school increases IQ is to teach children to "taxonimize," or group things systematically instead of thematically. This kind of thinking is rewarded on many IQ tests. There's also a number of studies showing that the brain changes after several kinds of regimen. London Taxi drivers whose brains are scanned before and after they start driving, and learning to navigate London's maze of streets, show changes in the brain as they use more navigational skills. Even young adults who take a juggling course show brain changes. If you put it all together, and the evidence is quite compelling, that life experiences and school-related experiences change both the brain and IQ. This is true of adults and children.